International reserves have been used as a source of protection against the vulnerability of the balance of payments, or alternatively, as an attempt to keep a competitive real exchange rate and to promote exports. This paper explores the correlation between the net capital flows and reserves. Similarly, the impact of some macroeconomic shocks on that variable is assessed. Estimates are carried out through both, the VEC (Vector Error Correction) models and quarterly data of the Argentine economy for the period 1994-2013. Results show a negative correlation between international reserves and net capital flows (reserve accumulation through current account surpluses). 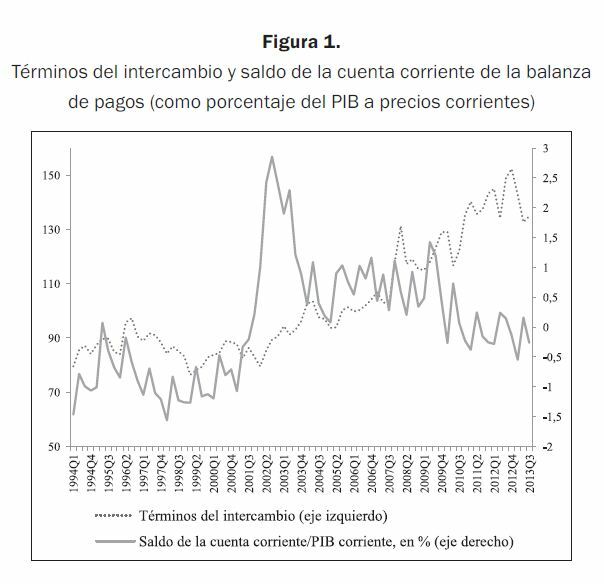 At the same time, the expansionary fiscal policies and the continuing and widespread price increases would adversely affect the reserves. Aizenman, J. y Lee, J. (2007). International Reserves: precautionary versus Mercantilist Views, Theory and Evidence. Open Economies Review, 18, 191-214. Allen, R. (2004). The Political Economy of Financial Crises. Cheltenham, Reino Unido: Edward Elgar. Bar-Ilan, A. y Marion, N. (2009). A Macroeconomic Perspective on Reserve Accumulation. Review of International Economics, 17, 802-23. Calvo, G. (2001). Capital Flow Volatility: issues and Policies. Journal of African Studies, 10, Supplement 1, 16-35. Cerra, V. y Saxena, S. (2008). Growth Dynamics: the Myth of Economic Recovery. American Economic Review, 98(1), 439-45. Choi, G.; Sharma, S. y Strömqvist, M. (2009). Net Capital Flows, Financial Integration and International Reserve Holdings. The Recent Experience of Emerging Markets and Advanced Economies. IMF Staff Papers, 56(3), 516-40. Cruz, M. y Walters, B. (2008). Is the Accumulation of International Reserves good for Development? Cambridge Journal of Economics, 32, 665-81. Damill, M.; Frenkel, R. y Juvenal, L. (2003). Las cuentas públicas y la crisis de la convertibilidad en la Argentina. Documento de trabajo, Cedes, 1-43. Feldstein, M. (1999). Self-protection for Emerging Market Economies. NBER Working Paper Series, N.° 6907. Feldstein, M. (2002). Economic and Financial Crises in Emerging Market Economies: Overview of Prevention and Management. NBER Working Paper Series, N.° 8837. Frankel, J. y Saravelos, G. (2010). Are Leading Indicators of Financial Crises useful in Assessing Country Vulnerability? NBER Working Paper, N.° 16047. Gregorio, J. de. (2011). Acumulación de reservas internacionales en economías emergentes. Cuadernos de Economía, 55(30), 77-89. Johansen, S. (1988). Statistical Analysis of Cointegration Vectors. Journal of Economic Dynamics and Control, 12, 231-54. Johansen, S. y Juselius, K. (1990). “Maximum Likelihood Estimation and Inference on Cointegration-with Application to the Demand for Money”. Oxford Bulletin of Economics and Statistics, 52, 169-210. Keifman, S. (2004). Auge y derrumbe de la convertibilidad argentina: lecciones para Ecuador. Íconos, 19, 25-34. Lütkepohl, H. (1991). Introduction to Multiple Time Series Analysis. Berlín, Alemania: Springer Verlag. Pesaran, H. y Shin, Y. (1998). Generalized Impulse Response Analysis in Linear Multivariate Models. Economics Letters, 58(1), 17-29.